Discover our gift case, the Edenly Diamonds Box and leave the choice of necklace or another piece of jewellery to her. To give the right gift, worry free. Equally, our Necklace Guide has been specially created to help you make the right choice for her taste, in terms of gold, diamonds and design. A gold necklace is a piece of jewellery that will never leave you. 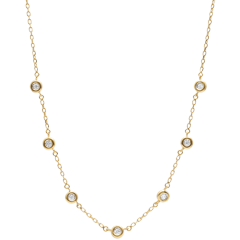 Gold, a durable and noble metal gives gold necklaces the characteristic of being able to withstand any conditions. Thus, your favourtie gold necklace need never be taken off. 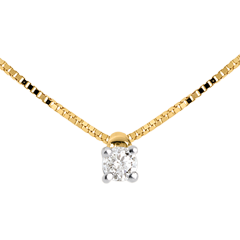 The gold diamond necklace is the ultimate accessory for the perfect outfit. It is the most simple of dress items and enhances the rest of your clothing. 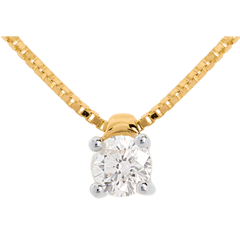 Our gold necklaces are most often composed of a diamondpendant on a white gold or yellow gold chain. Whether a single diamond or several, classic or original, they are distinguished in every case. 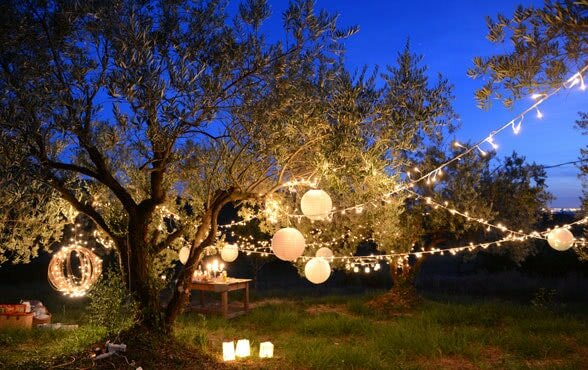 Additionally, we offer classic necklaces, wedding anniversary necklaces, prefect to please your special lady and to celebrate the years in style. 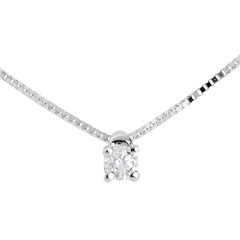 Another popular reason for a necklace is in the form of a sparkling diamond, yet subtle, bridal necklace, designed to compliment the bride in her dress. 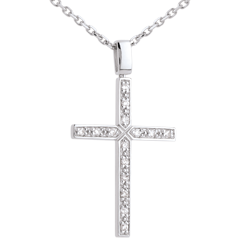 In addition to these designs and to classic necklaces, we also offer more modern necklaces. Put the finishing touch to your outfit with finesse and subtlety by wearing an 18 carat gold necklace.